Jump Start Your New Year’s Resolutions! Print this coupon and start enjoying the YMCA with no enrollment fee! 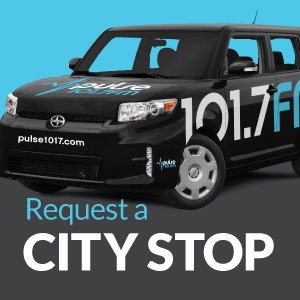 Last weekend, Pulse 101.7 had 3 CityStops to do in a 2 day period. Needless to say, enough happened in those 2 days that I felt the need to blog about each event individually. This is the last composition in the 3 part “Why Pulse Matters in the Community” posts. Our final event of the weekend was the Convoy of Hope at Wells Fargo Arena in downtown Des Moines. Convoy of Hope was offering free shoes, coats, gloves, hats, groceries, haircuts, and many other services to struggling families in the Greater Des Moines area. Just the start of a really long line in front of Wells Fargo! As I look back, I am still baffled at the amount of people reached in our community. The Convoy of Hope asked us if the Pulse CityStop car could be parked on the sidewalk in front of the main entrance to Wells Fargo Arena. The doors didn’t open until 9:00 am, but a HUGE line had already formed by the time I arrived to play Pulse music for everyone waiting out in the cold. Apparently people had been waiting in line for at least 2 hours before the event even started. I saw little kids, adults, and teens all standing around in the cold waiting for their turn to go inside and receive some of the help provided. A lot of the kids were dancing to Pulse music while they waited! I have to say that this scene really affected me spiritually. It was so upsetting to see how many of our neighbors are in need, but I was joyful to see that Convoy of Hope was able to offer help to them. I arrived just in the nick of time because people were getting very impatient. People were cutting in line, breaking the yellow tape keeping people on the right area of the sidewalk, and some were even shouting asking when they were going to be allowed in. The weather was cold, but the music was hot! Another difficulty was that when they let in a certain number of people, they were at capacity and had to shut the doors so the next group had to then wait their turn. Trust me when I say you could sense the desperation in the air. Very quickly, the line wrapped around the ENTIRE building. I all of a sudden felt bad I didn’t have more to offer the crowd, so I did the best I could: I opened the back of the Pulse car and started blasting music to keep people happy. Within moments people were dancing and little kids were coming over to the car to see what was going on. Explaining the Comparative Music Guides to curious parents. One of the Convoy of Hope volunteers offered to help pass out some of our Comparative Listening Guides to those waiting in line. Together, we passed out and explained to each parent the benefits of listening to positive music not only for their children, but for themselves too. The day ended a little sadly because they ended up running out of materials and had to cut off the line and turn some people away. However, everyone who was in line was guaranteed groceries which I’m sure was well worth the wait. Volunteers gave granola bars to anxiously waiting families. Any time people started to get restless and wonder when they were going to get their turn or if they were out of what they needed, I would make a fun announcement or switch the song to get people’s attention. I was nervous as the crowd became a little unruly, but there were security guards everywhere to keep incidents to a minimum. There were a few heart wrenching moments for me when people would approach me for help I couldn’t give them, but overall the day was a success. A lot of families were helped last Saturday, and thanks to Convoy of Hope they heard a lot of positive music and received resources to continue listening. 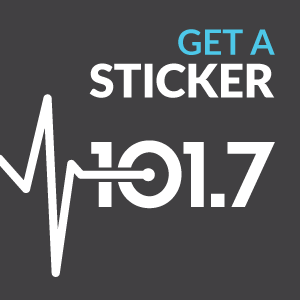 Vanessa Schaad from Convoy of Hope had this to say about Pulse 101.7 being at the event: “Pulse 101.7 added a positive element to the long lines at the Convoy of Hope Outreach. Our team was pumped to have them at the outreach knowing that people would have something fun and entertaining to listen to as they waited.” Of all of the CityStops I have done, this was the most worth it. This is one of the hundreds of reasons Pulse 101.7 matters in the community. It is an outreach to those who need something spiritual but have no idea where to start. 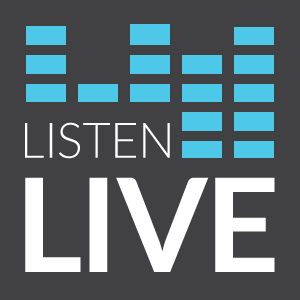 Right now, your station needs your help to continue that outreach. Please make a donation online or by calling 515-987-9995. So continuing the story of our exciting events last weekend…Right after I left the Red Culture Conference at HyVee Hall, I drove the Pulse 101.7 CityStop car over to West Des Moines Open Bible Church for Bryn Metcalf’s Sweet 16 Birthday party!!! Seriously, this party was off the hook! Bryn’s mom, Becky helped put it together and there were a TON of Pulse 101.7 fans there! Bryn and all of her friends came out to have their picture taken in front of the car just like a red carpet event! Also there was weekend radio warrior, Charle Price, rocking the house inside with some awesome DJ skills. The inside of the church was all lit up with DJ lights and Pulse music was blasting! Everyone was dancing and this party was so intense I even got whacked in the face with a Pulse 101.7 frisbee! Luckily, they are pretty soft. Becky had set up a pretty sweet treat buffet downstairs and I had a peanut butter chocolate bar that was out of this world. “We just want to thank you both [Charle Price and Katie], along with Pulse 101.7, for making Bryn’s “Sweet 16” party extra special! Having Pulse music and a visit from the City Stops Scion definitely added the “cool” factor to our party. The music mix was electric and kept the party alive! The teens loved interacting with D.J. [Charle Price] and having Katie take their pics with the Scion. Bryn was a child of the Q, and a teen of Pulse…what a perfect way to honor her. We were BLESSED!….Jim, Becky, and Bryn Metcalf” Well, thank YOU Jim, Becky, and Bryn for having us out for an awesome party! This is just another reason why Pulse matters in the community. Thank you again to all of our current Pulse 101.7 supporters and if you haven’t given to Pulse before, I just want to encourage you to become a part of our mission by donating to your station online or by calling 515-987-9995! Be sure to check out Part 3 of “Why Pulse Matters in the Community” tomorrow when I will talk about our visit to Convoy of Hope!